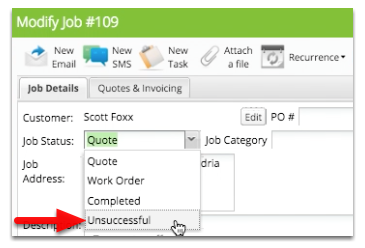 When managing jobs in ServiceM8, your goal should be to keep the Unscheduled Jobs list empty. You can remove a job by scheduling it to a staff member, changing its status to Completed or Unsuccessful, or placing it in a Queue. Jobs should be placed in a Queue when they are awaiting action either from someone in your business, or from the client. 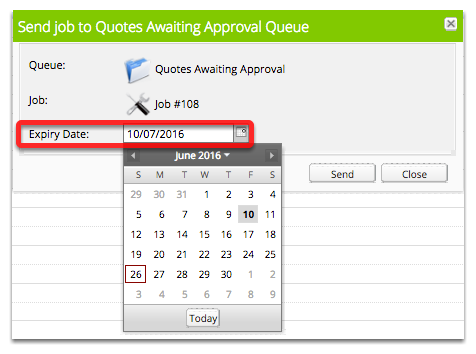 To place a job into the queue simply drag the job onto the Quotes Awaiting Approval queue folder. If you’re in the field, simply use the Checkout Wizard on the app. Select ‘Send job to queue’ when marking the quote as complete. The app will then prompt you to select the appropriate job queue. By completing this step direct from the field, the job progress is being managed without additional work being added to your admin staff. You set the expiry on the queue job to when you want to follow it up with the client. 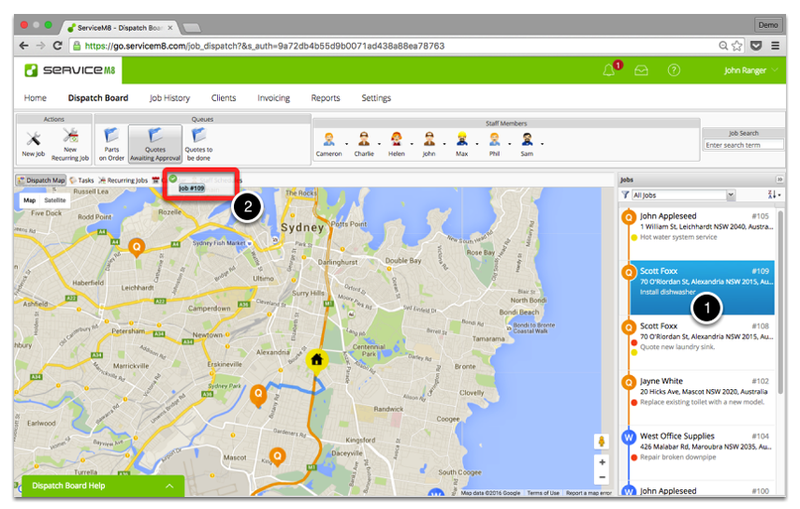 For example, if you want to follow up with the client in two days, you’ll set the expiry to two days. You will notice when you place a job in a queue, it disappears from your unscheduled job list. This helps manage your outstanding work. If the client hasn’t accepted the quote and your job expires from the queue, it will return to the unscheduled jobs list with a yellow dot. 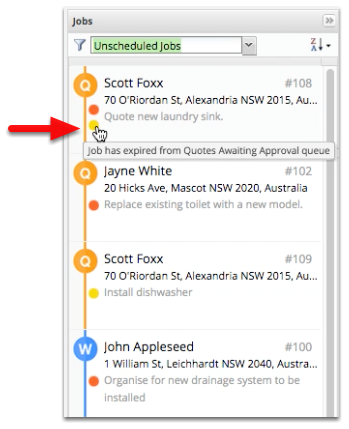 In this case the yellow dot indicates that the job has left a queue, to find out which queue you can hover over the yellow dot. Because this job has left the waiting on client approval queue, you should now follow up with the client about the quote. Your first follow up could be an email, phone call or sms prompting them to review the quote. 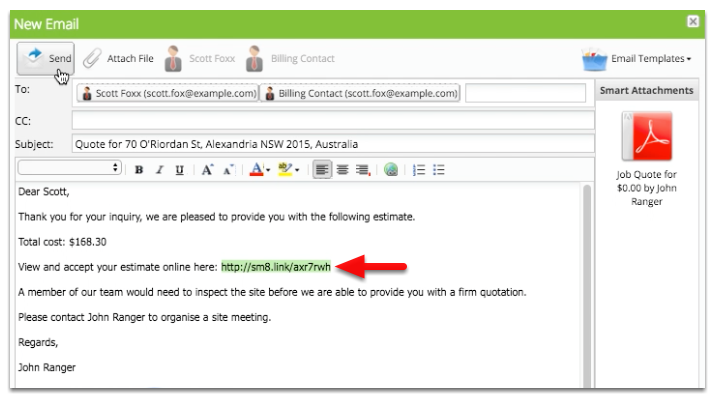 If you add a document link to your emails and/or sms’, your customers will be able to accept the quote directly from the link. 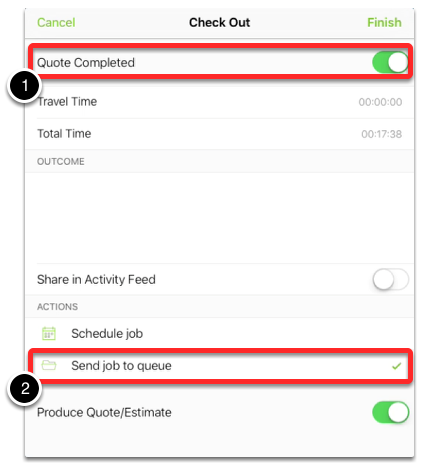 If the client wants more time to decide, you can make a note in the job diary and return the quote back into the queue. But if the customer agrees to go ahead with the quote, the job can be converted to a work order and scheduled to a staff member for completion. But, what if the job requires additional parts to be ordered before the job can go ahead? In this scenario, you’ll need to order the parts and place this job into another queue called ‘Parts on order’. When the parts arrive, the job can be easily found, in the ‘Parts on order’ queue and scheduled to a staff member for completion. This will remove the job from your job list and archive it for future reference. Tip: If the client then wants to go ahead after a few months, you can easily retrieve the unsuccessful job by searching for the client name or job number, then change the job status to work order and schedule it. And here's a video tutorial to learn more about queue. Click here. What do the job dots mean?